KW Realty Advisors, founded by distinguished Realtor, consultant and advisor Kelly West, is a multi-faceted real estate service dedicated to connecting the discriminating client with Los Angeles luxury real estate. 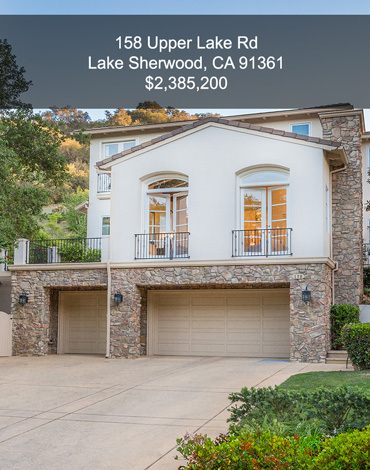 In fact, the expertise and scope of KW Realty Advisors extends beyond the prestigious communities and neighborhoods of LA proper, to include exceptional properties in Ventura County communities such as Lake Sherwood and Westlake Village, and those in the Pasadena area. Clients are private buyers and sellers of distinctive homes for themselves and their families, and private investors and homebuilders developing, purchasing and selling high-end single-family homes, multi-family buildings and communities. They trust KW Realty Advisors can represent them with unsurpassed service and proficiency, in-depth market knowledge, honesty, integrity and utmost discretion. This website is your portal to KW Realty Advisors, to exclusive listings of Los Angeles luxury real estate, and to a comprehensive MLS search that provides the ability to view information about virtually any property listed in the region’s Multiple Listing Service. In addition, access “Bravos,” for just a few of the many testimonials from satisfied clients. Interesting insights, listings and other real estate- and community-related information is available on the Blog. Subscribe to an automatic email feed of each new blog post. Interested in a specific community? Go to the Communities landing page and select your choice. You will be provided an overview of your chosen area as well as access to all available listings, or check out the comprehensive Concierge for a list of select restaurants, hotels and spas, cultural activities, and general resources. For more information please contact KW Realty Advisors via email, or by telephone at (310) 954-0535.